The word “robot” is a buzzword in both the home and the workplace, yet the first industrial robot was developed 60 years ago (1959) and the first production line industrial robot was installed in 1961. Robots are not new technology, but are certainly growing in numbers, speed, accuracy, and affordability every year. If they have been around for so long, why is it trending in today’s world? And what can we, the wood industry, glean and learn from other industries already using robotics? Get answers to these questions and more at OptiSaw – the one-day education forum for those driving the future of sawmilling. Hosted by CFI magazine, OptiSaw is returning to Richmond, B.C., to hold an information-packed event on June 13. In 2017, Canada had one of the largest growth percentages of all countries for industrial robot annual sales, up 72 per cent compared to 2016 (not counting automotive robot sales). These numbers show that there is a significant need in the market, but more importantly, that companies are embracing and investing in this trend, and sawmills are no exception. 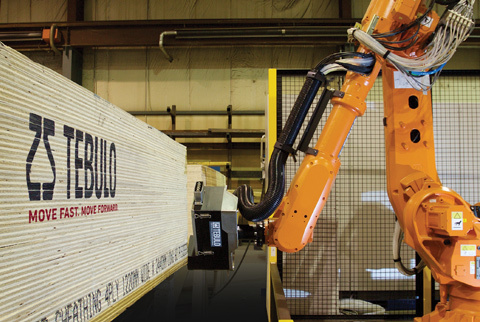 Tebulo Industrial Robotics‘ Jon Vanspronsen will be presenting on the history on robotics, where robotics are currently in the marketplace, and what the future holds for robotics in the wood industry.